8 all butter, sweet and crumbly shortbread fingers handmade to The Wolseley’s very own recipe. The Wolseley’s shortbread uses only best-quality ingredients to ensure that each biscuit has an authentic crumbly texture and freshly baked taste. Handmade in Dorset, these shortbread fingers make for the perfect afternoon treat and are best enjoyed with a cup of tea. 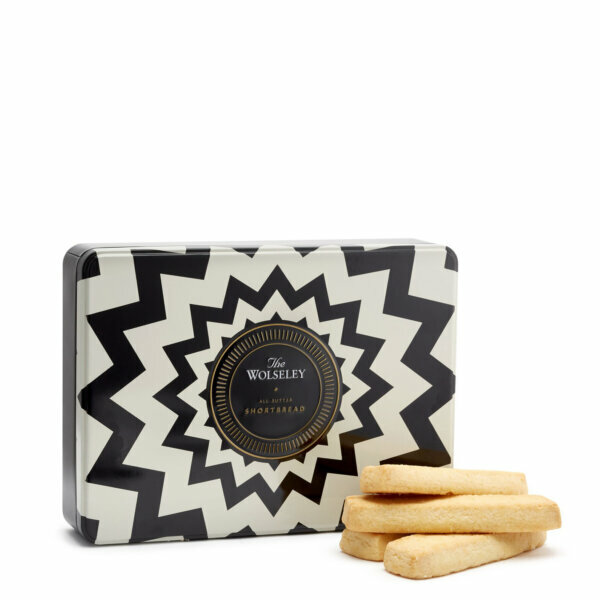 An ideal gift, they are presented in an elegant black and white tin, depicting the chevron detailing of The Wolseley’s iconic marble floor.